INDIANAPOLIS – Wheaton World Wide Moving was recently announced as the 2016 American Moving & Storage Association (AMSA) Fleet Safety award winner in the 20-to-50 million miles category for the second consecutive year. The AMSA Fleet Safety Award is presented to the interstate carrier in each mileage category that has the best weighted combination of the lowest U.S. Department of Transportation recordable accident rate per million miles of vehicle operation, and the lowest vehicle and driver out-of-service rate. 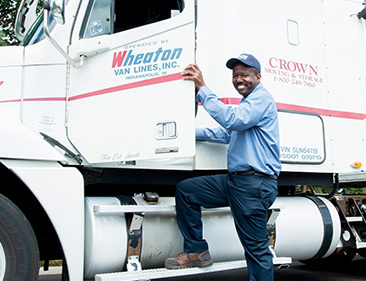 Wheaton is a certified ProMover, AMSA’s program to help consumers easily identify a quality, professional mover. AMSA is the national trade association representing more than 4,000 of the nation’s moving and storage companies, which provide household goods moving services, specialized transportation for sensitive freight, such as computers and trade show exhibits, and warehouse storage services.